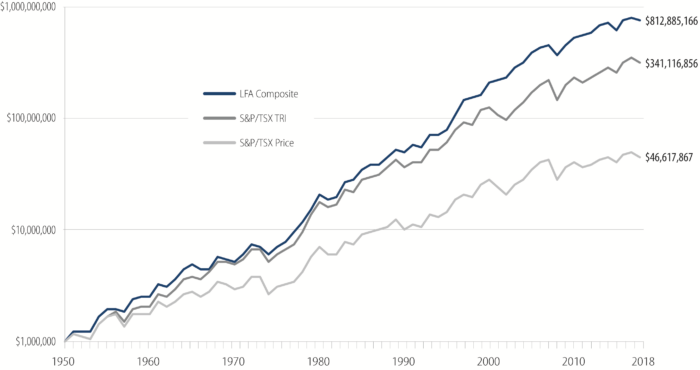 Fortis Inc., a Newfoundland-based utility company, is one of the largest and longest standing holdings in all of the Leon Frazer portfolios owing to its exemplary record for increasing dividends. For 45 straight years, Fortis has increased its annual dividend every year, building a perfect “dividend staircase.” Over time the stock price has followed the dividend upward. We attempt to build Leon Frazer portfolios with as many of these “dividend staircases” as possible.